Candidate assessment color coding uses green (good: agrees with Life PAC's position) in two shades, and red (bad: opposed to Life PAC's position) in two shades. Lighter shades in assessment codes indicate dated information. Gray means issue is not assessed or candidate's position is unclear. Coding applies only to the information presented, and does not indicate support or opposition from Life PAC unless explicitly stated. A Life PAC recommendation may be given when a pro-life candidate is running against one who is pro-abortion, or the recommended candidate is pro abortion but the least so of all candidates, or the recommended candidate is unknown and running against a known pro abortion candidate. 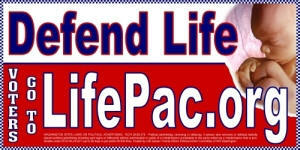 When multiple pro life or unknown candidates are running, Life PAC may not give a recommendation. 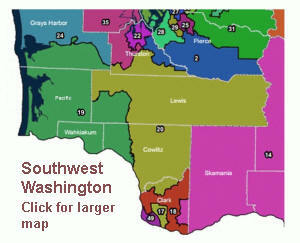 Comments can be emailed to vote4life@lifepac.org. If this information has helped you with your vote, please Donate a few dollars now to help Life PAC with its candidate research work.